Grab your friends, grab your pets--it's time to party! 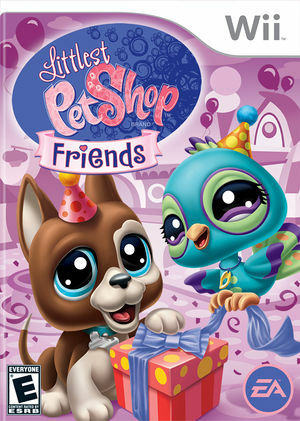 Littlest Pet Shop: Friends, the second edition of the Littlest Pet Shop video game, brings the party to you with a new cast of quirky pets and their best friends. Play tons of new mini-games and explore new towns with your favorite pets. With enhanced multiplayer features, you can even double your fun by playing with your best friend! Venture on quests, deliver invitations, serve up ice cream, and style your pets as you get ready for the biggest Littlest Pet Shop party of the year. And be prepared for a few surprises along the way, like an all-new mystery pet that just might show up at your party! The graph below charts the compatibility with Littlest Pet Shop: Friends since Dolphin's 2.0 release, listing revisions only where a compatibility change occurred.